Over the last week, temperatures in Australia have set new records, reaching over 120º Fahrenheit (F) (49º Celsius (C)) in some places. All states and territories except Tasmania have had temperatures higher than 104ºF (40ºC). Over the last week, temperatures in Australia have set new records, reaching over 120º Fahrenheit (F) (49º Celsius (C)) in some places. This map of temperatures is from early January. 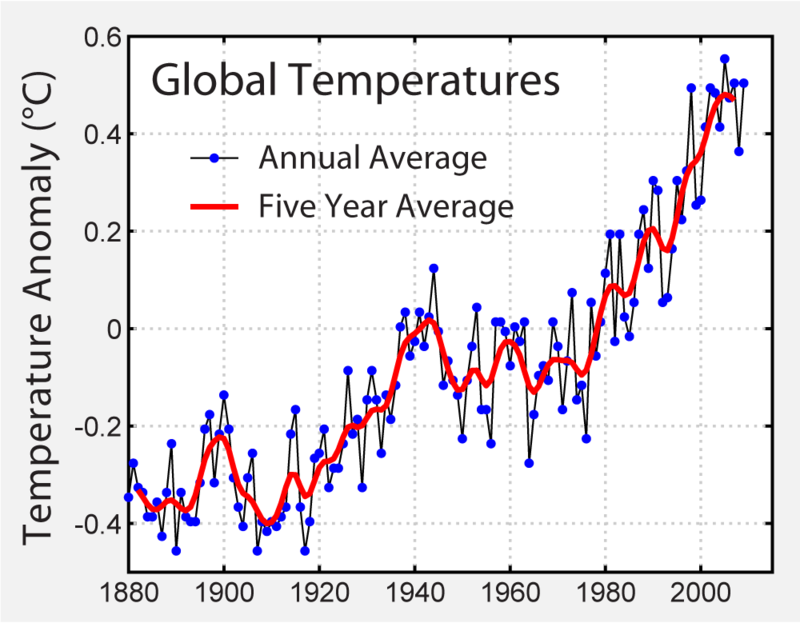 Climate change, caused by humans burning fuels like coal and oil for energy, has made heatwaves like this much more likely and extreme. In Victoria, it’s so hot that the government is warning people about roads melting and becoming “soft and sticky”. Much of the country is on “red alert”, preparing for the bushfires that often come with extreme high heat and dry periods. Experts are especially worried about people who are sick, older, or homeless. There is already about a 10% increase in the number of calls for ambulances. Experts are especially worried about the heatwave’s effects on people who are sick, older, or homeless. 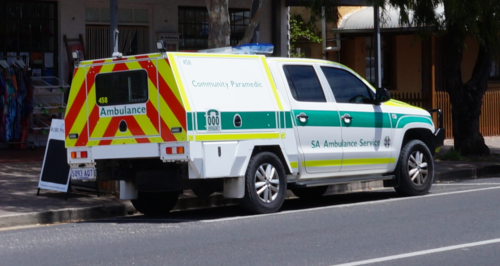 There is already about a 10% increase in the number of calls for ambulances. But humans, at least, have ways of surviving the heat. They can do what the government has been suggesting: stay inside, drink plenty of water, and avoid hard outdoor activities. 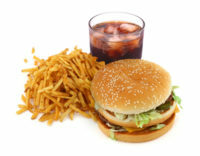 Many people can also use fans and air conditioning to keep themselves cool. For animals, it’s another story. As many as a million fish died last week in the Darling and Murray Rivers in New South Wales. This follows a “die-off” of about 10,000 in late December of last year. High temperatures may have caused the die-off, but the water was already very low in the rivers. Much of the water had already been taken for farming. Experts expect more fish to die as the heatwave continues. 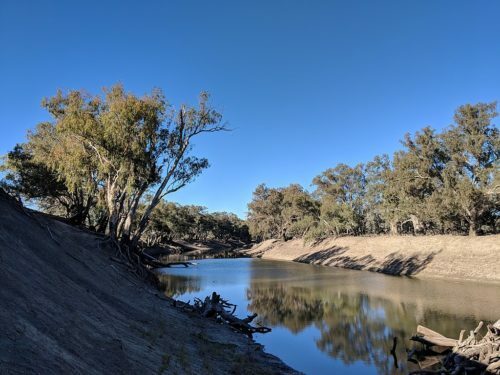 As many as a million fish died last week in the Darling and Murray Rivers. High temperatures may have caused the die-off, but the water was already very low in the rivers. Much of the water had already been taken for farming. But the animals most affected by the heat wave seem to “flying foxes” – a kind of bat. Australia is home to several kinds of bats, some of which are in danger of dying out. The bats eat fruit and are important in the life cycles of many plants. The animals, which sleep hanging upside-down in trees, have very little protection from the extreme heat. This is especially true of babies and younger bats. “Flying foxes” – a kind of bat – are being hit hard by the heatwave. The animals, which sleep hanging upside-down in trees, have very little protection from the extreme heat. In the last week, hundreds of bats have dropped out of trees. Most were younger bats. Rescue workers have been trying to save as many as they can, but many bats died before they hit the ground. 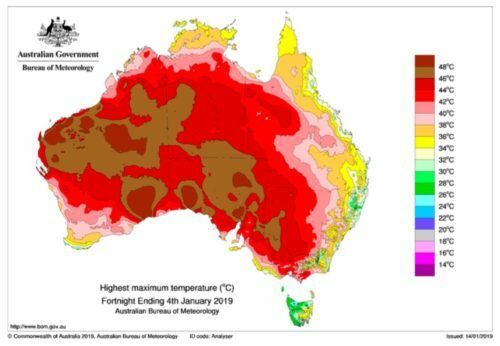 In late November of last year, Australia had another heat wave. Scientists report that around one-third of Australia’s “spectacled flying foxes” died during two days of that heat wave. At least 23,000 were killed. At the same time, about 10,000 black flying foxes also died. 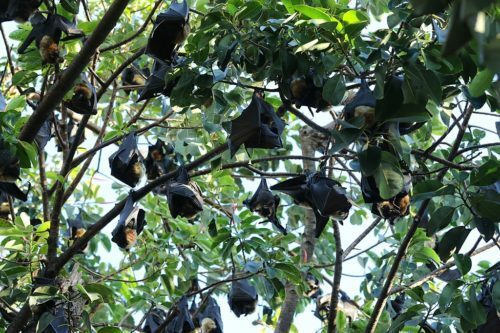 In the last week, hundreds of bats have dropped out of trees. Most were younger bats. Rescue workers have been trying to save as many as they can, but many bats died before they hit the ground. 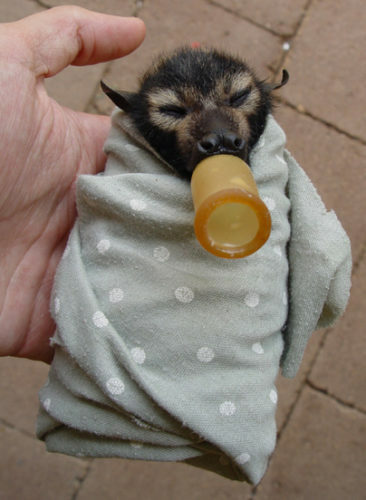 This picture shows a baby spectacled flying fox. Some scientists point out that the damage to fish and bats is easy to spot. They worry that other kinds of animals are also suffering, but we haven’t noticed yet. Australia’s heatwave is expected to continue through Saturday before cooling off some on Sunday.